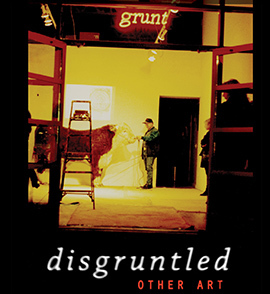 Beat Nation began at grunt gallery in 2008 as a website project curated by Tania Willard and Skeena Reece. “…From MCs to graff writers, video makers, painters and poets, Aboriginal rights and rhymes have inspired a new fusion of hip hop and diverse indigenous cultures. Distilling these influences into contemporary art and experimental music was an extension of using these mediums to engage young people in their culture(s). Aboriginal cultural lyricscapes peppered N8V hip hop tracks and from Cree to Inuit to Haida to Mohawk and more, our realities and our dreams were reflected in the music, the art, and the culture of hip hop.” – Excerpt from Tania Willard’s original curatorial statement, 2008. “…Where can Indigenous expression be seen? Or perhaps a better question is where can it NOT be seen? Mainstream television, blockbuster films, radio stations, government structure and even buildings themselves. The de-saturation of Indigenous expression is a sign of colonization. For some people a pencil and paper are the only tools seen as available to document the expression of oneself. The common denominator is spoken word. Thus, Indigenous hip hop is widely accessible and crosses over cultural barriers.” – Excerpt from Skeena Reece’s original curatorial statement 2008. Beat Nation eventually became an exhibition which was first shown at SAW gallery (below) and then grunt gallery on June 26, 2009. The “Beat Nation – Hip Hop as Indigenous Culture” website evolved into an exhibition that was first presented at SAW gallery in Ottawa, Ontario from April 21 to June 26, 2009. In 2012, Tania Willard was invited by Kathleen Ritter to expand the Beat Nation exhibition at the Vancouver Art Gallery curator. The exhibition ran from February 25 to June 3, 2012 and was a huge success. Beat Nation travelled to The Power Plant in late 2012. The exhibition ran from December 15, 2012 – May 5, 2013. Beat Nation returned to British Columbia to exhibit at the Kamloops Art Gallery during the summer of 2013. Prior to this exhibition, Curator Tania Willard was awarded an Aboriginal Curator Residency at the KAG from October 2013 to April 2015. Beat Nation tours to Montreal, Quebec with its largest exhibition yet. It runs from Oct 17, 2013 to January 5, 2014. According to the Vancouver Art Gallery website, Beat Nation is no longer touring.